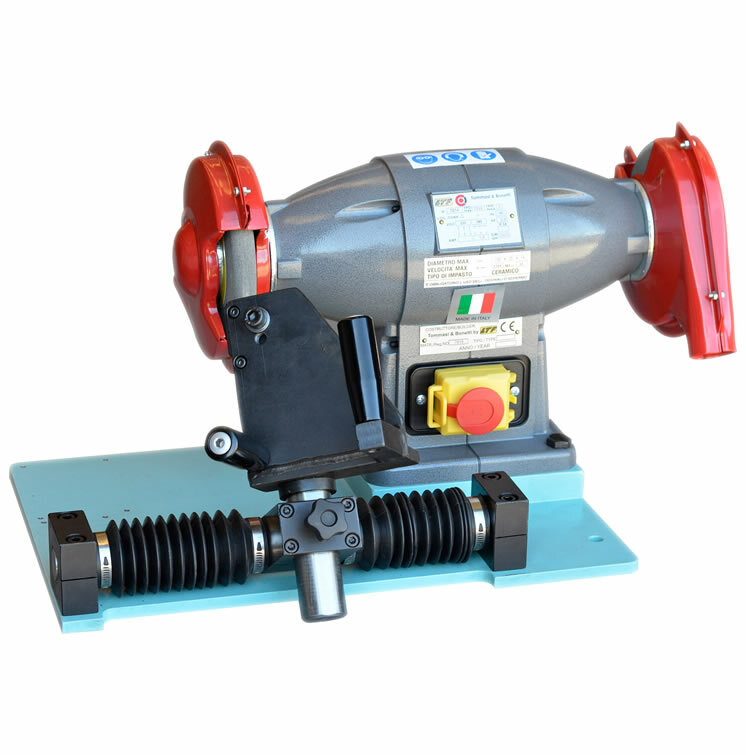 Special knife resharpener for knives mounted on the following machines model: TA30, TV45, TV65, TV80, END 50, TS60, TS60CN. 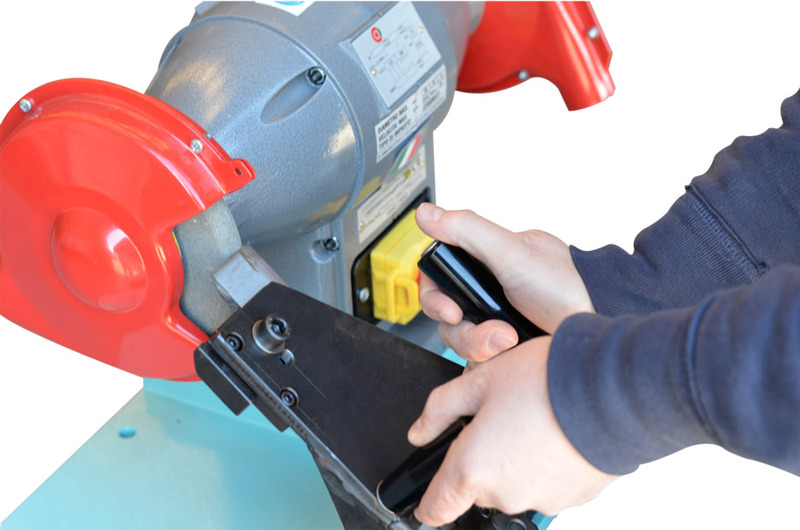 This machine is equipped with a specific locking and positioning system for knives in order to enable an accurate and consistent knives resharpening on straight, bent and profiled blades . Maximum knife dimension: 100 mm. Grinding wheel motor power: 0,75 Kw. Maximum grinding wheel diameter: 150 mm. Motors voltage: 400V/50 Hz.